A property reservation form is generally made to reserve a property for the long run. The form should contain the important details of the applicant who wants to reserve the property for a certain purpose. The reservation forms are in many types; such as travel reservation, hotel reservation forms and others reservations. Though the field of applications of such form is different, but the purpose is same for all. A sample reservation form for booking a property deals with the information, including the personal details of the applicant such as the name, address and contact numbers of the concerned person. The reservation details should be presented in a clear way that include the information like the details of your present property, the type of the reserved property and other details regarding this. The template of the form is available in both editable PDF and word file. You can download as well as customize the form according to your use. 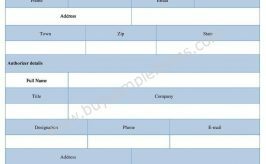 A wedding reservation form is used in order to make the reservation of wedding halls, restaurant and other issues, which are needed to be booked on the wedding date. A tour reservation form, as its name says, it is made to book something associated with a tour. A restaurant reservation form is needed to reserve seats of a restaurant to celebrate a certain get together. Railways reservation form is needed to reserve the seats for a travel. The applicant who fills it up should give the necessary details to the railway concerned authority as to book seats for making a trip. Visiting a place needs hotel reservation as to enjoy your holidays without worrying about the accommodation. A college reservation form records information about the students in order to give privileges which they deserve.